Take one bowl , add curd , onion ,carrot , cabbage , salt , red chilli powder ,cumin powder and mix well. Heat oil in tadka pan , add cumin seeds , green chilli , curry leaves , hing , mix well. 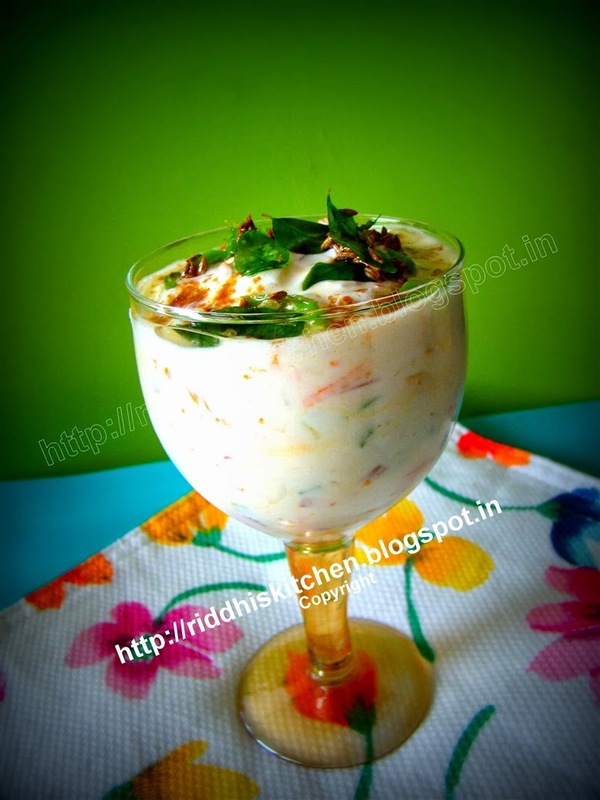 Take serving glass , pour curd mixture , pour tadka over curd mixture ,sprinkle cumin powder and serve .